Bid Sheets or Mobile Bidding? Fundraising isn’t easy. We will be the first to tell you that. Not only do we help numerous charities fundraise, many of our employees actively fundraise for their own charities. In fact, Handbid was built out of an identified need, by our founders, for better fundraising tools for their event. It’s for this reason that we’ve put together this comprehensive guide on how to plan and execute a silent auction. 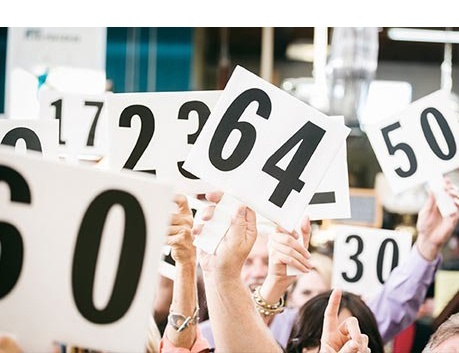 Read on to learn about nearly every aspect of silent auctions. There are a lot of ways to raise money, from online donations, peer to peer fundraising campaigns, email or direct mail campaigns, or special events. All of those methods are valid and can be combined for a complete fundraising strategy. auctions run in conjunction with them. As it relates to special events, let’s address a few common challenges and then help you come up with ways to overcome those. I don’t feel comfortable asking people for money, especially in person! For most of us, this is indeed the case. It is hard to ask people, including your family and friends, to support a cause that you are deeply passionate about - but they are not. You have only a handful of opportunities (through email campaigns, events, and more) to share some of your passion with them to hope you hook them into giving. However, there are other ways to get people to support your cause, including a silent auction, which we will discuss right here. Running special events is a lot of work and I have limited time and resources. No doubt. Running a fundraising event is hard work. It takes dedication, organization and lots of persistence to get it right. Your first few attempts may not be as successful as you hoped, but you can’t give up. If you are planning to host a fundraising event with an auction, you can find a lot of best practices and tips in this guide to help you streamline the work and maximize your results. I’m afraid no one will come to the event and we won’t make money after expenses are paid. Every time you decide to upgrade the venue, improve the catering, add new entertainment, or pay for software or staff, this becomes a real concern. You definitely need to make sure that your investments generate a positive return (more guests and more money spent by them). No need to upgrade the band if you don’t think it will result in more attendance or dollars donated. There are some things that you can do that can help minimize this issue that we can discuss here. bidding software, to your next fundraising event! auctions are a lot of work. You need to source items, organize them, display them at the event and manage bids and process invoices. Get more of your guests to participate in your event. Streamline your event, increase the accuracy of your data. On the surface, adding a silent auction sounds like more work, not less? Certainly, there is work involved like we discussed earlier, but if you use software to manage your silent auction, you will find that you have not only automated your bidding, you have automated ticket sales, registration, check-in, and payments/collections. In addition, you will eliminate mistakes. There is no longer a need to decipher poor handwriting on registration cards or pledge forms. There is also no more need to have your guests write down their credit card data on paper forms or stand in line at the end of the night to checkout. All of this can be automated, even for guests that don’t bid but only donate. Your guests will appreciate being able to bid, donate and pay from their phone and you will love the reduced admin work and more accurate reports you will have in the end. Expand participation and maximize revenue. If losing money is a fear of yours, one way to ensure that happens is to limit the audience who can attend or bid. Having no auction at all will dissuade some guests from participating at all in your event. Also with mobile bidding, you can reach people that could not physically attend your event. This is another way to increase your revenue in your auction. Remember, auctions work best when you have multiple people competing against each other for an item. Recruiting more bidders can only help increase your revenue, not reduce it. Moreover, when you add a silent auction, you will be tapping into a larger portion of a guest’s wallet. So what do we mean by that? Well, it is commonly known that most households give about 2% of their annual household income to charities. When you are asking for donations, you are tapping into roughly 2% of every guest’s total annual budget. This amount has historically been consistent. However, silent auctions allow guests to tap into their discretionary income: travel, entertainment, luxury purchases, dining, food and wine. For most households, this is about 14% of their total annual budget and does not overlap with their charity budget. So consider a household that makes $100,000 per year. Your donation request will come from a $2,000 budget they spend annually on charities, where as an auction will allow you to tap into an additional $14,000 they spend each year on vacations, travel, food, drink, entertainment, and other non-essential items! So… why pass that up? will want to have a separate (but connected) group in charge of your auction. Appoint an auction chair and have them get organized soliciting items. at your event will be used. What will your guests like? What is appealing in your area? While your team canvasses businesses locally, don’t forget about national opportunities. National Organizations are generous and all this requires (usually) are web searches! But, many of them have 4-6 month lead times, which is why planning in advance is critical. Some items can be made, and don’t have to be found! Items that have no cost but high appeal are great: five strong men to do yard work for a day, a free dog walker for a month, etc. If you are a school, you may not know it, but you have a number of items that will be popular that cost next to nothing: parking spaces, front of the line drop off spots, principal for the day, etc. We have a number of these ideas that we provide our clients during their ramp-up period. Here is a link to some great silent auction ideas to consider. Ask your friends & family for HELP! Businesses are more likely to support your auction if your cause is well known or the person asking for it (the solicitor) is well known. Be sure to leverage any relationships your friends may have with local businesses or craftsmen to secure great items for your auction. Do you have an artist in the family? Ask them to create something! Does someone in your family have a vacation home they would be willing to donate? Do you know someone who works at a hotel who will donate nights? How about a local restaurant? Do you know someone who can help you secure wine for your event’s wine wall or an auction basket? Don’t let paper pile up on your desk. Setup a shared spreadsheet where your team can have a list of target items (things you want) and a method by which you can add both donor and item detail. When the item is secured, the spreadsheet can help you organize that for easy import into your auction system. Encourage the team to maintain a pace of collecting items through regular meetings (that you don’t reschedule!). Encourage rewards and competition amongst your team - and reward them! How many items do you need for your auction? What types of items do I have and what are my bidders most interested in? What range of prices do I have for my items? When determining a target number of items, the tradition has been to have 1 item for every 2 registered bidders. Others suggest you determine the size of your auction space and recommend 1 item for every square foot of auction space. 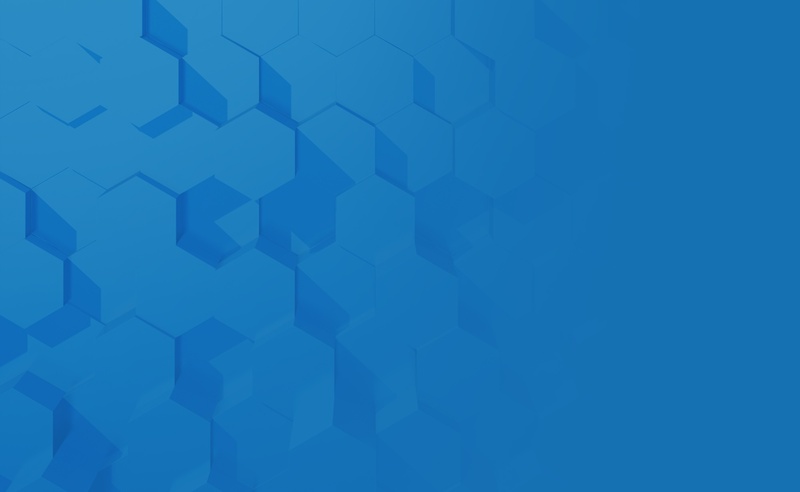 There are plenty of other formulas that exist out there, but with mobile bidding, we have found that these rules don’t always apply. Instead, you need to know your audience, the types of items you have, and the nature of the event. When creating your packages, here are some things to consider. Formal galas tend to work best with fewer items that are a bit higher in value. Your bidders in formal wear are not going to bother with the $15 gift card to a local coffee shop. Make the prizes meaningful. School auctions should offer a more affordable range of items and lots of them. In fact, we find that school auctions blow the traditional “1 item / 2 bidder” ratios out of the water as most of them easily sell all 300+ items to an audience of 75-100 bidders. Understand the demographic makeup of your bidders. If you are expecting an older crowd, trips to children’s museums and the zoo are not going to be good sellers, but wine tastings and larger trips will be. At a school auction, the museum and zoo items will do very well, but big expensive trips will only work if they are to Disney or is otherwise family oriented. Once you have your packages set, organize them into categories. This will make it easier for your bidders to browse your auction. Users are used to browsing items by category and prefer this method over a single list. This is exactly why the local shopping malls list stores by category. You should target 5-15 items per category. If you less than 5 in a category, consider combining it (logically) with another one. If you have more than 15 items in a category, determine if it could be split. Many mobile bidding solutions don’t allow managers to organize items in categories. We don’t understand why. Your bidders don’t want to browse through all 75 of your items in a single, master list. Split those 75 items up into 4-5 categories instead! Make sure they are accurate. Please look over the description and make sure it agrees with the description provided by the donor. If you are not sure about some aspect of the item, ask the donor for more clarification. Ask for model numbers, years when items were released (e.g., wine vintage, when the product was made, etc. ), prices (e.g., amount of the gift certificate) or inclusions and exclusions. If the item is signed memorabilia, you will want to retrieve a respected certificate of authenticity (either from the team, a reputable appraiser (JSA/PSA), or include a photo of the celebrity signing the item). While your guests will be bidding from their phones, if you plan on having an event along with your auction, you need to display your items. Auction displays are important. Imagine walking into the Apple store and just finding rows and rows of papers that had photos and item codes of their products listed. Users can still look up all of the information on their device, so no need to display all of the products right? How good would their sales be? Not good. People want to see things and touch them. Treat your auction like a store and your bidders as customers. Give your bidders enough space to walk, don’t “clutter” the tables with lots of product (items), and make sure it is well lit enough so people can see! Have a display for EVERY item you put in your auction. Even if the item is virtual (e.g., a trip to Cabo), display something about Cabo so you can get people to notice it. and Increments for more detailed instructions! Are you feeling nostalgic and want to stick with paper? Or are you ready to streamline your event and raise your revenue potential? That sounded rather biased, didn’t it? Well, we wouldn’t be in this business if we didn’t feel that mobile bidding was going to positively impact your auction. Challenge #1- Your guests MUST be physically standing over the bid sheet to bid. Sure, they must be present, but they still can’t bid on a paper bid sheet from the bar or from their table. For that reason, even your local guests have to interrupt conversations or get up from their table to walk over to bid sheets to bid. Why make it harder for them? Challenge #2 - Your guests better have good handwriting. Even your guests with the best penmanship are known to get sloppy as the night goes on when bidding on bid sheets. Do you want to be huddled up at the end of the night trying to figure out if that bidder number was 172 or 122? Challenge #3 - Your guests all have to line up to pay at the end. This is where we see the most stress. Your event was great! But now the auction is over, and you are scrambling to generate invoices and get guests paid and out the door. Things are moving along, but slowly. And, you are stressed because the last experience of the night for your guests is a 30-45 minute wait in line to pay and get their items. Some guests ditch the line and leave, and you are left with items to carry back to the office and phone calls to make on Monday. Who wants that? Your guests can be anywhere, and we mean anywhere! Don’t just restrict bidding to those in the room. Let your best supporters, who could not make your event in person, bid remotely! Why not let people bid from the bar, or from their seats at dinner? The more opportunities you give your bidders to bid, the more revenue you can generate. Your auction can stay open longer! With paper, your auction can’t start until guests arrive and it must end with enough time for you to calculate winners and organize checkout. With mobile bidding, you can open up your auction days to weeks in advance of your event. Let your guests bid early. At the end, you can close your auction just minutes before you need to start checkout. Guests can view what they won and pay from their phone. Your data will be much more accurate. People don’t have to write numbers on sheets, and you don’t have to struggle to read it. 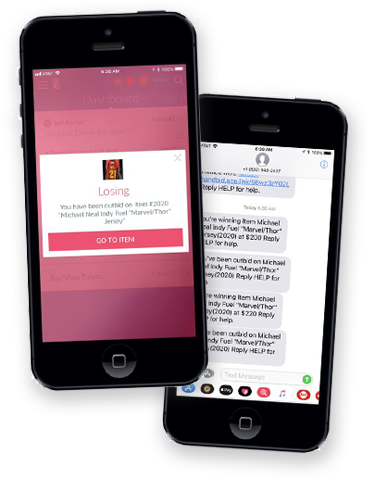 You will capture valuable data through the mobile bidding service including the guest’s email and phone (and possibly their address if you want it). And, you don’t have to enter any of it! They will! Finally, your checkout lines will disappear. Well… for the most part. You still need to run an efficient checkout (check out our eBook on that!). Your guests can view their items and pay from their phone. When everything is on paper, your guests have no idea after the auction closes if they won anything, so they line up. With paper bidding, your line consists of both winners (and non-winners), and you have people waiting 15-20 minutes only to find out they didn’t win anything. With mobile bidding, that isn’t the case. Your guests will be able to view and pay their invoice right from their phone! Those that didn’t win will head home, and your checkout line will be much shorter. option may end up costing you more than you think in the long run. Remember, your guests will be using this. Is it easy to get setup? Is it easy to place bids? Is it fun and engaging? While a lot of solutions out there can record a bid, many of them don’t instantly notify users when outbid or create a game-like environment that is going to entice people to stay connected to your auction until the end. Can bidders bid from their phones or do they have to place bids with a staff person on an iPad? Can guests bid from anywhere or do they have to be physically present? Can guests leave early? Are there simple payment mechanisms like Apple Pay available? All of these features impact the guest experience and subsequently your auction revenue. At Handbid, we built the software with the guest experience as our first priority. After all, if your guests are not engaged, they aren’t bidding. We want the experience to be game-like and fun. What kind of support will you get? If you are new to mobile bidding, you want to make sure your vendor has online resources to help you learn the software (and best practices). Also, you may want to consider a training class with them. Also, what sort of support do they provide prior to your event and the night of? Can you call during the day and speak with someone? Are they responsive on email? What about event night? Do you have a hotline you can call in case you have a question or an issue? If you do find a vendor that offers these, do they charge extra for the service? Another portion of support is having staff on-site. Many vendors will suggest you hire their staff to run your event. This can get very costly, and in many cases, vendors send contract workers who don’t even work for their company. While they may have been trained, they are often not any more trained that your staff would be had you run them through a training course. While onSite staff can give you some peace of mind that the technology won’t fail at your event, it doesn’t often work out that way (e.g. the staff that come can’t often solve the real technical issues that scare you anyway. So they end up on the phone with tech support instead of you). We are not big fans of onSite support as we find it to be a big money drain for most clients who end up paying a vendor thousands for unqualified, untrained temp staff. We don’t mind staffing an event, but we only send high quality experienced people. It seems like auction companies come and go. You need to make sure the one you plan to use has been around and isn’t planning on going anywhere. Ask your prospective company how long they have been doing auctions. Ask them for references you can contact. In addition, there has been consolidation in the industry (mobile bidding companies merging together). When companies merge, they consolidate operations and technology. It is fair to ask them how any of those changes will impact you and your event. Changes could include different staff, different pricing or even different technology than what you originally purchased. Handbid ran its first auction in May 2011 and has run thousands of auctions since, generating over 800,000 bids and raised $150m for charities (and counting). Do they update their software? If so, how often? 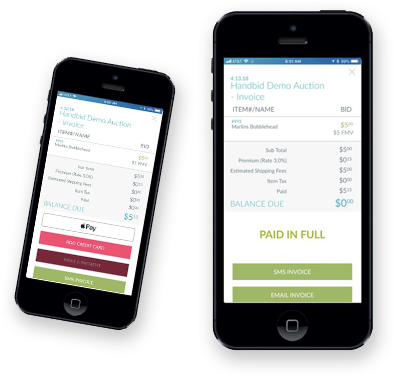 You are bringing innovation to your auction, so you want to make sure your mobile bidding partner is innovative. Get a good understanding of what new features they have added recently, how often they add new features, and what their roadmap looks like for the future. You want a partner who will grow with you so you can continue to improve your auction year over year. We update our software every 2 weeks and release 2-3 major new features each year. We are dedicated to continuing our software platform development. You didn’t think we would ignore price, did you? We know its important, but what is even more important is understanding how the mobile bidding provider approaches pricing. Do they publish pricing on their website? If not, why not? How are you certain that your fees would be same as another organization having an event similar to yours? What are all of the fees? Are there any fees not disclosed (you need to ask: “Is this all I would ever pay or are there other fees that may apply). Read through the proposals carefully and make sure you compare apples to apples. Do you understand all of the costs? Do you need all of the things they are offering? Can you pick and choose what you want (need) or did you just get a lump sum price that can’t be broken out? While the total cost is a big factor, we think an even bigger factor is working with a vendor that is transparent about their pricing, publishes their rates, and doesn’t “wheel and deal” behind the scenes. Most competitors don’t publish their pricing - we do. We pride ourselves on being as transparent as possible. We think it is essential for our customers. Features are important, and if you have an event with unique aspects to it, you may find that you need something specific. However, going with a vendor that has a particular post-auction report you need over a platform that will generate more revenue may hurt you more than help you. In many of those cases, you can ask the mobile bidding provider to compensate for a missing report or feature in some way (e.g., send me the data I need or show me how I can do “this”)... Decide which elements are essential to your auction’s success and make sure your list of mobile bidding candidates can cover those. You just signed the contract and are activated with a new mobile bidding account. YOU ARE EXCITED TO GET STARTED. SO WHAT TO DO FIRST? The first step is to learn the software. Hopefully, your vendor provided you with a Get Started email with some videos or training articles you can read. These should give you an overview of the software and how it works. It is important to note that software is designed to automate a process. The vendor who built the software you are using has a process in mind on how an event (and silent auction) should work. In some cases, you will run into a divergence of how you want the software to work (your way) and how the software does it (their way). Figure out if you can compromise on that because it is unlikely the company will modify the software to accommodate “your way” (whether it is a better way or not). Once you have an idea of how the software works and how it will work for your event, it is time to get things loaded and into the software. There you have it! There’s quite a few mission-critical things that you need to remember, from planning your event, to acquiring items that your guests will bid on, displaying items, and much more. Everything described and shared in this comprehensive guide must be considered to ensure your auction is as effective as possible. If you don’t follow these tips, there is a chance you could see less return on investment from your event. If you’re ready to take the next step and upgrade your silent auction, contact our to our team! We can create a plan to help your event’s staff prepare your event, engage more guests, manage item inventory, and more all to help your event generate a higher ROI. Of course, if you have any questions, reach out to our team for support! We’re happy to help.